The Patriots really need more depth and a dose of athleticism and speed at the Linebacker position. They were thin at the beginning of the 2017 season and injuries to key players set them back to where it became a glaring weakness in the Super Bowl loss. Hightower and Rivers return which should help the depth but inside Elandon Roberts is better suited to be a backup than a starter. He frequently was out of position and is a liability in coverage. Will the team move Hightower back inside or will they leave him on the edge? Will the team use Harvey Langi, who was also lost to NFI (Car wreck) at linebacker or will they use him too on the edge? Lots of questions here. Rashaan Evans from Alabama comes from a Pro-ready program with Nick Saban and can step in on Day 1 and be a key contributor. With the steady influx of talent with the Tide, Evans had to be patient. But despite not being a full-time starter until 2017, he played significant snaps on Special Teams as a freshman. Evans put the time in and saw his snaps and production increase each year. During the two playoff games in 2016, he started both and was ready for his coming out party last year. 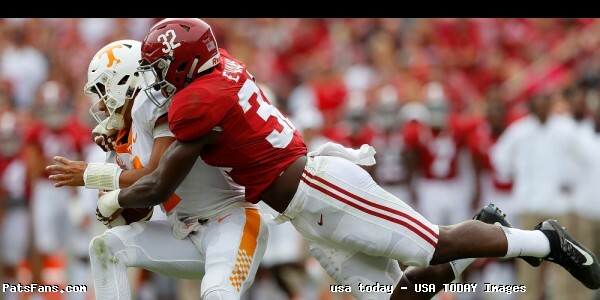 He led the excellent Crimson Tide defense with tackles (74), with 13.5 tackles for loss, six sacks and three passes knocked down, one forced fumble and one fumble recovery. He was All-SEC Second Team. He’s 6’3, 234 pounds and has tremendous sideline-to-sideline speed. He’s a quick twitch athlete who is versatile and can play inside at the Mike Linebacker position or outside as well as rush off the edge in sub-packages. Watching the Alabama defense, he’d be an outstanding delayed Blitzer up the A-Gap. His speed would put an interior offensive lineman on their heels. He flies around the ball and is relentless. The one play that stands out was against Clemson in the national championship. He blitzed off the edge from the left. The quarterback threw a quick screen to the right. Evans after getting to the quarterback still chased down the running back for a minimal gain going across the field. 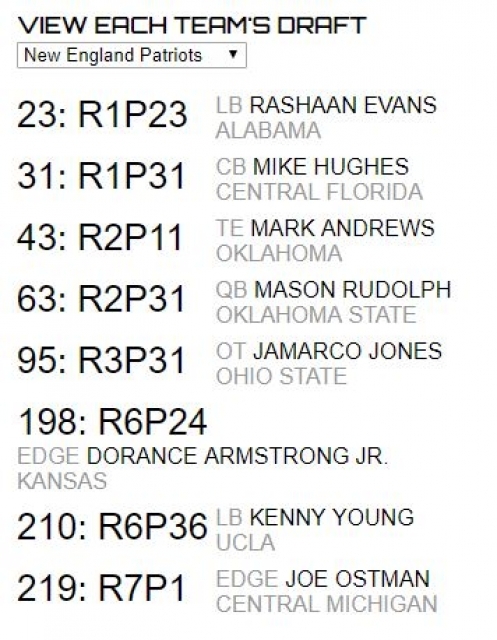 Evans role would be to immediately take over the inside linebacker position and is a big upgrade over Roberts inside. He can cover a tremendous amount of ground and will be a big addition not only in the running game but in coverage and blitz as well. Yes, with his ability to go from sideline-to-sideline, they can then explore the possibility of letting him call the defensive signals and as he grows more comfortable in the defense allow him to blitz more. He’ll bump Roberts for the starting role on Day 1. While Roberts spot on the 53-man roster is probably still secure, some of the other depth players may find themselves outside looking in. Very good, he can be an immediate contributor and played significant STs snaps since his freshman year in college. Evans is a smart, tremendously athletically gifted linebacker who has the perfect work ethic that teams will covet. He wants to play, improve and above all else, puts the team first. Nick Saban has a knack for finding some outstanding talented front sevens during his tenure at Alabama and Evans is the latest of talented linebackers to move to the pros. He and Hightower would make a great team at linebacker and he’d immediately upgrade the unit. With a linebacking core desperately in need of speed and athleticism, Evans checks the block quite easily. He can cover tight ends, running backs and even slot receivers in a pinch. He ran the all-important 3-Cone Drill in 6.95. The problem with him is where he falls in the draft. 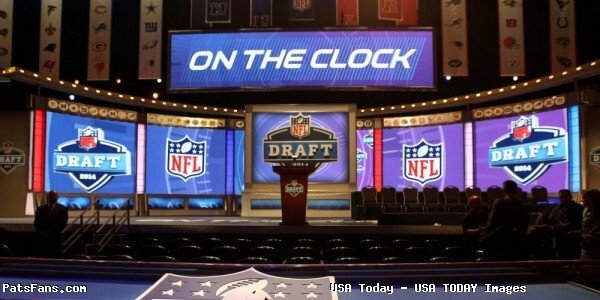 I’ve seen Evans drafted anywhere between 16 and 25 on mock drafts. There is no way, he falls to the Patriots at #31. So, if they like him and see an opportunity, then the Patriots are going to have to move up in the 1st round and swing a deal with someone to swoop in and steal him away from other teams. 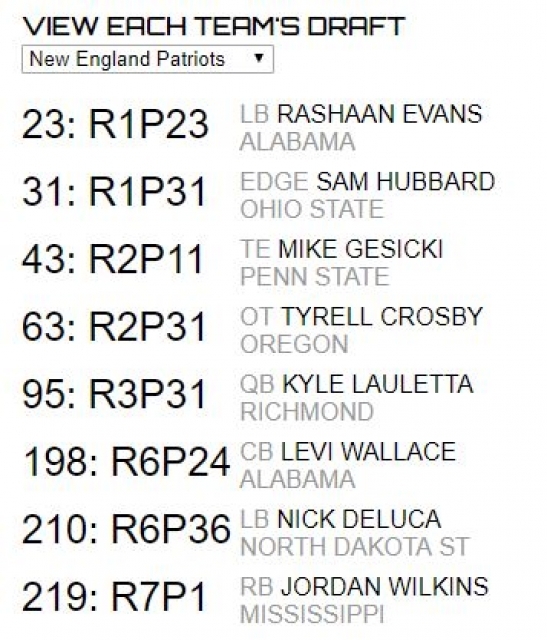 This entry was posted in 2018 Patriots Offseason, NFL Commentary, Patriots Commentary, Patriots News, Patriots Rumors and tagged 2018 NFL Draft, 2018 Patriots offseason, Bill Belichick, Derek Rivers, Dont'a Hightower, Elandon Roberts, Harvey Langi, Kyle Van Noy, Marquis Flowers, New England Patriots, Patriots edge rushers, Patriots linebackers, Rashaan Evans on March 23, 2018 by Steve Balestrieri.